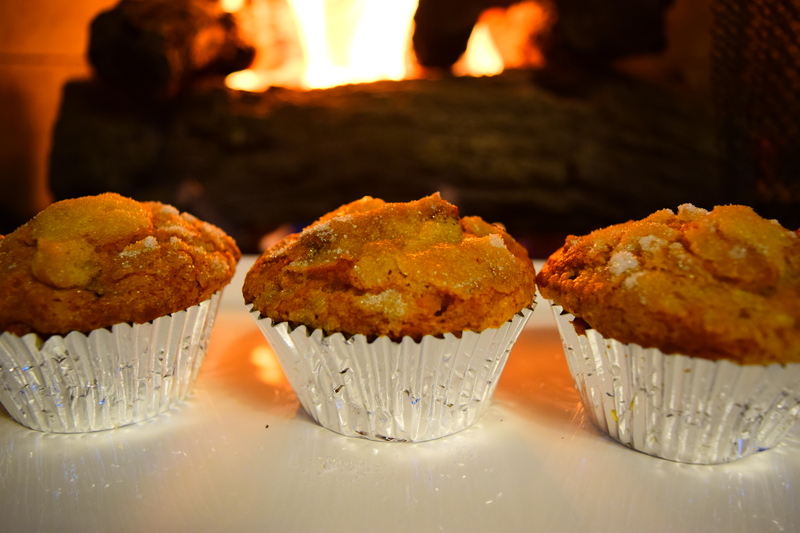 Surprise Muffins are my youngest son’s favorite breakfast treat!!! These melt-in-your-mouth muffins disappear in our house and I guarantee they’ll disappear in your house too. The combination of sweet, melty chocolate and spicy pumpkin is simply divine. Freshly-made Surprise Muffins are cause for great rejoicing with my two boys. The littlest guy races right to the muffin box and picks one out. Then he sits down in front of the fire and pulls the wrapper off the muffin. He still wears footy pajamas and he still has a special blue blankie. I just melt as I watch him snuggle up by the fire and enjoy his special treat. Heat oven to 350 degrees. Spray a 12 cup muffin tin or fill the cups with muffin liners. Muffin liners work really well with this recipe. 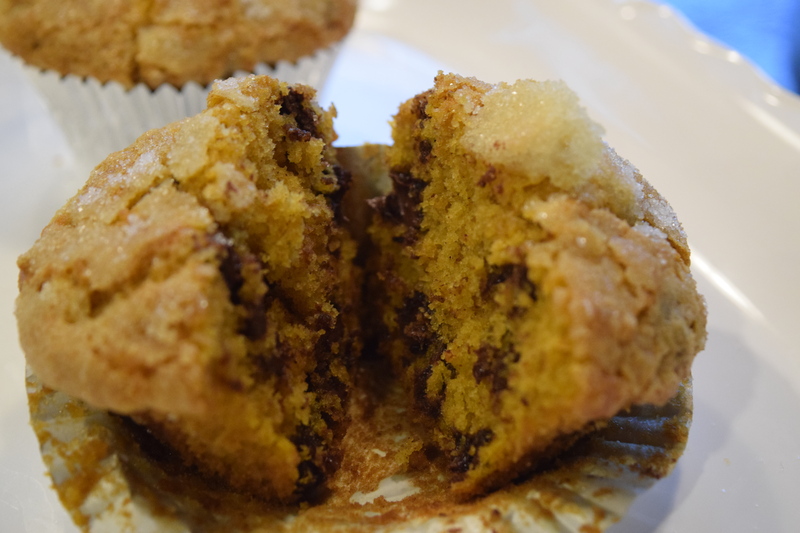 Tags: Breakfast Muffin, Chocolate Chip Muffin, Muffins, Pumpkin Chocolate Chip Muffin, Pumpkin Muffin. Bookmark the permalink. pumpkin and chocolate? I was totally thinking about this combo today and thinking noooo that doesn’t go. But you’ve made it! Looks great – i’ll have to give it a try! I hope you do give the muffins a try! So easy and yummy!! Your going to love them! !